While we are nearing the end of the exterior painting season, there is still some time left to refresh your home with a new color palette! 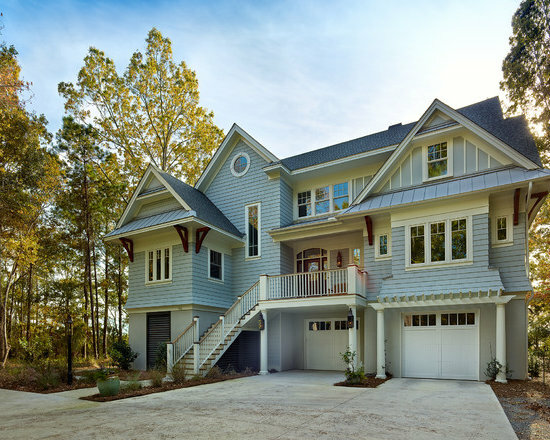 Choosing exterior paint colors can often be a lot more difficult than choosing interior colors. The color you choose is used on a much larger scale and is seen by friends and strangers a like. At an average of $50/gallon, choosing the wrong color can be a costly mistake. 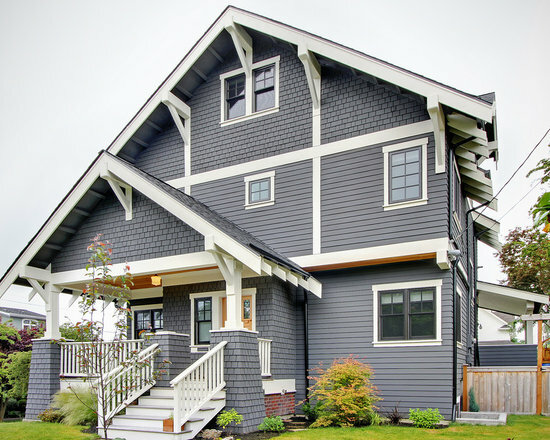 To help you get things right the first time, here are three no-fail exterior color combinations. Black and white is the most timeless of all color combinations, both interior and exterior. The white body, white trim, and black shutters on the house above compliment the classic facade beautifully. Choosing a black or red door will continue the classic look. However, selecting such a neutral color palette allows you to show off your creative side. 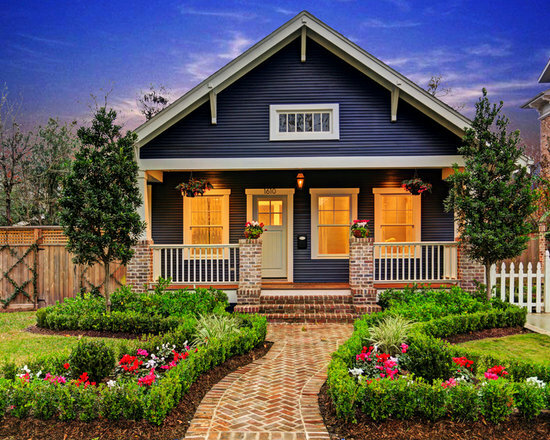 Become inspired to move beyond the red front door with some alternate color options here. A dark gray or navy blue exterior is a definite attention grabber. 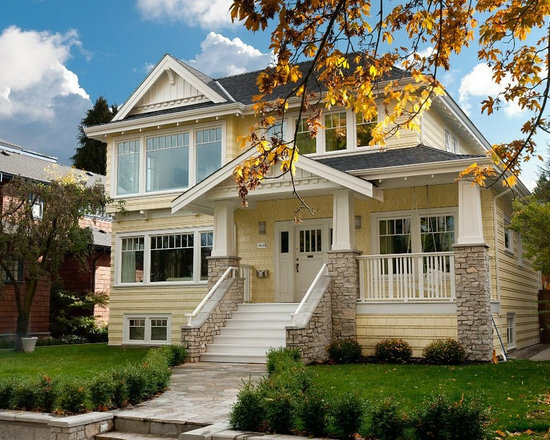 In the home above, the carefully chosen color makes this modest facade stand out. A dark body color paired with a white or lighter gray trim allows this color palette to be showstopping while remaining neutral. This beautifully with natural materials like brick, stained wood, and stone leaving plenty of options available for your decks, porches, walkways, and doors. For those who find an all white exterior to be too bland but a dark color to be too bold, this light color scheme can be a fantastic compromise. A light body color adds depth and the white trim allows the overall color scheme to remain muted. Using a dark wood for your accents such as shutters or a front door will help to bring interest back to the home and prevent it from falling flat. With over 3,500 colors available from Benjamin Moore, picking the right shade for your home can be tricky. Visit any Babel’s or National Lumber location and consult with one of the Benjamin Moore Experts on staff. They will help you navigate the color wall and find all the materials you need to squeeze in this fair weather project!